LOLAK | What Does LOLAK Mean? 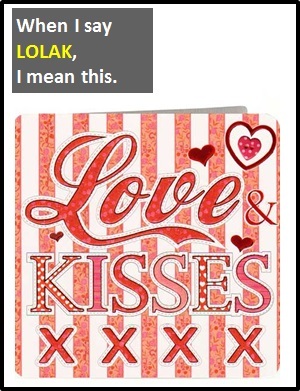 LOLAK means "Lots of Love and Kisses". LOL is often wrongly expanded to "Lots of Love." Terms like LOLAK contributes to this confusion. Our Slide Show "The Evolution of LOL"